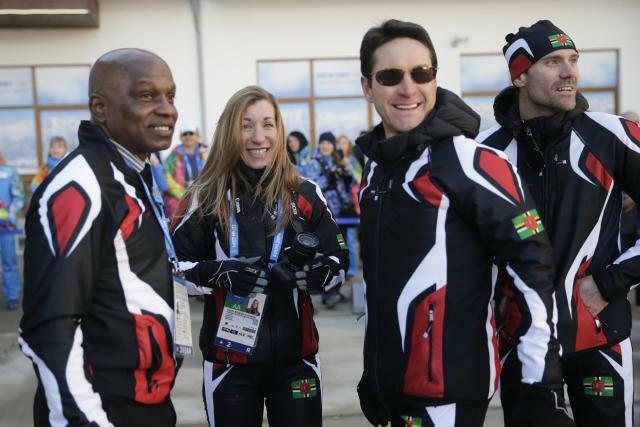 Gary and Angelica di Silvestri called their Olympic story a "fairy tale" at the start of the Sochi Games. At this point, though, it's hard to call it anything other than a nightmare. They've both missed their cross-country skiing events and spent time in the hospital — her for a broken nose, him for the stomach flu. While their unusual Olympic story was spreading, another story about an alleged underhanded financial deal they were involved in did too. It hasn't been anything close to a gold-medal couple of weeks for the di Silvestris. Here's some background: Gary di Silvestri is a New York native who became very, very rich as a hedge-fund and asset manager. He met Angelica, who is from Italy, while studying there. They were rich enough to once own a 30,000-square-foot estate on a private island in Turks and Caicos. So they were also rich enough to essentially buy their way into the Winter Olympics. The Caribbean island of Dominica (with a population of about 70,000) granted them citizenship, according to U-T San Diego, after they were involved in humanitarian projects there. The di Silvestris wouldn't reveal specific details about their work in Dominica. 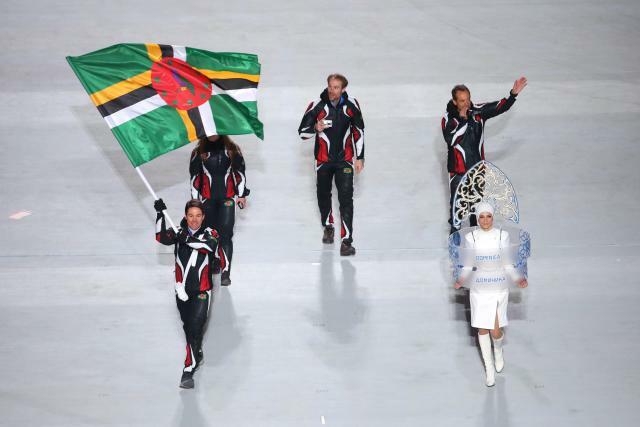 When Dominica wanted to send its first ever delegation to the Winter Olympics, they called on their fabulous pair of honorary citizens. The di Silvestris — he's 47, she's 48 — formed the National Ski Association of Dominica, then competed in enough races to qualify for the Olympics. If you've got the financial means, it doesn't sound like a bad gig. But once they got to Sochi, Angelica di Silvestri says, everything turned really ugly. Later that same day, Angelia clipped on her skis for a training session on one of the Olympic courses. Poised to become the oldest cross country skier in Olympic history, surpassing Norway's 41-year-old Hilde Gjermundshaug from 2006, she never got to the starting line. Instead, she had reconstructive surgery on her nose and spent 36 hours in intensive care, then had two more surgeries. If that wasn't bad enough, a tax-evasion case the di Silvestris were implicated in after a 2006 real-estate transaction got new life this week when Deadspin dug up details about the couple and the sale of their private island estate, Emerald Cay. In 2006, the couple sold Emerald Cay to American Tim Blixseth in what was reported to TCI authorities as a $10.5 million transaction. Tax collectors went bananas after finding out Blixseth had actually paid the skiers closer to $30 million, and ordered the buyer to pay TCI $9.3 million — $1.7 million in unpaid stamp tax duty and the rest in penalties and interest. Justice G.W. Martin of TCI's Supreme Court called the sale "a carefully crafted scheme of tax evasion" and asked prosecutors to investigate. Late last year, two attorneys involved in the sale of Emerald Cay were indicted. Gordon Kerr, representing di Silvestri and Morrone in the transaction, was charged with "cheating the public revenue, conspiracy to cheat and conspiracy to false account." Although not indicted, the skiers hardly come off as pure as the driven snow. Blixseth later sued the couple seeking $28 million in damages. A broken nose? The Sochi stomach flu? Those aren't fun. But, hey, it could be worse. At least the di Silvestris aren't in jail.